How To Build A Money Making Blog? How To Make A Profitable Blog From Scratch? Are you thinking to start a new blog? Or do you wanna build profitable blog? If you just want to start a blog for passion, then you could easily do without any hassle. However, if you wish to create a blog that makes money from scratch, then you should understand, practise and implement some essential approaches. Moreover, you should follow some critical blogging techniques to generate decent revenue from your blog. What the heck are those strategies and procedures? If you Google the question “How to start a blog?” you will find millions of good resources with which you could build a nice blog. 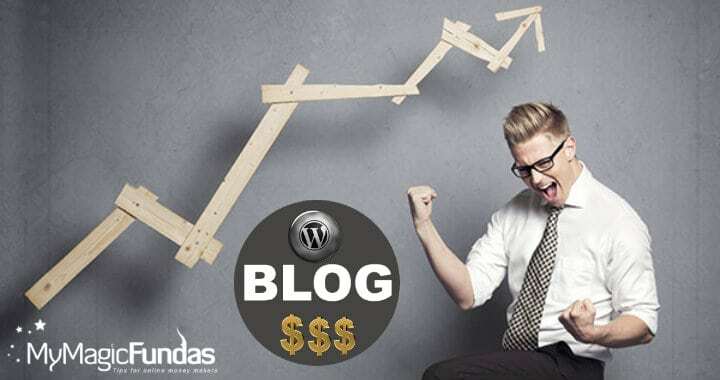 If you search “How to make a money making blog”, you will get only the limited search results (trustable and followable) and those might be the contributions of the blogging experts who revealed their blog earning methods for the budding bloggers. I have been blogging since 2012 and I make money from my blog through several strategies and different monetization methods like Adsense, Paid reviews, Sponsored posts and Affiliate Marketing. Everyone can do it! But how? What are the basic skills needed? What are the plans should be implemented? How long will it take to earn money from a blog? You might have these queries in mind! Let me clear your doubts through this post and hence you will be able to make a successful blog that could get you a huge profit. To build a blog that makes money, it is good to exercise the following habits and employ a few necessary blogging procedures. Building a lucrative blog isn’t easy! Just try to practice some good habits before starting your blog! 1. Fix The Goal – you might have heard the famous proverb “A man without a goal is like a ship without the rudder.” Yes, the same applies here as well. You should have a proper goal like “I should make $1K per month from a blog” or at least “I should get 5K visitors per month for my blog”. Whatever it may be! Fix your goal first! 2. Learn Consistency – Do you know, Google and other search engines love consistency. Yup! Not only the robots, but your loyal readers would also like to grab the details from your blog in a consistent manner. So, practice a lot to work with consistency. You should maintain constancy in crafting and publish the content, taking part in blogging communities & forums and appearing on social media to spread your content. 3. Build Relationship – If you blog in an isolated place, it is not blogging. To establish your foot in the blogosphere and create a brand name for your blog, you need to learn how to build a relationship with fellow bloggers and niche influencers. Help them in any way (either you can write about or spread their content or do technical support for them) and create a supporting community for your blog. 4. Time Management – It is the toughest thing in blogging. In my earlier days of blogging, I got distracted though unwanted emails and social media. Now, I have learned to control my time and work in a focused way. So, if you want to get success in make money with your blog, managing and scheduling the time is more important. 5. Practice Writing Daily – I’m sure that you can’t stand out from the crowd without a unique writing style. Yes! How you are expressing your thoughts and the way you present the data matters a lot. You should grab the huge eyeballs with your exclusive writing style. To get more creativity in your writing, practise to write on a daily basis; write something that would help you get a strong reader base. Check the details of Grammarly to create the error free content! 6. Study About Blogging Tools – To blog in a professional way, it’s nice to read about the blogging tools like WordPress, themes, plugins, hosting, email marketing and much more. I would suggest you be trained and get premium blogging tools to perform better. I would suggest you be trained and get premium blogging tools to perform better. How to start a blog and make money? – It’s a million dollar question! You have to follow the 6 blogging strategies to earn a stable income from your blog. Choosing the exact niche is more important. Brainstorm your ideas and find out the topics that you could do well. It may be of Health, Technology, Wellness, Blogging, Fashion, Lifestyle or anything. Visit the related forums; Understand the requirements and the difficulties of the people. If you have high confidence that you could give the helpful solutions to their problems on a particular topic, select that niche. Have it in mind – If you choose your preferred subject to blog, then it would be much easier for you to update your blog often. My Key Strategy – I have great confidence in writing about WordPress and Technology, and thus I have recently launched two new blogs and updating them regularly. Choose a reliable hosting service to make your site load fast, avoid downtime issue and protect your valuable data. then, you should opt an attractive site framework that pleases both the search engines and your visitors. My Key Strategy – I use Genesis Framework for my blogs as it has inbuilt security features, loading fast and SEO friendly as well. 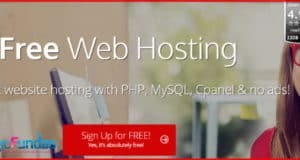 Also, I hosted my new blogs on the best WordPress hosting, Inmotion hosting that is steady fast and affordable. Here come the critical blogging phase! Yes, if you wish to drive an enormous organic traffic (Traffic from Google and other search engines), then you should do keyword research. It is nothing but finding out the profitable keywords that you could rank top in search results. You may use Google Adwords to see, what people search on the niche that you have selected, search volume per month and competitiveness of the keywords. My Key Strategy – I use the paid keyword research tool “Long Tail Pro Platinum” version to find out the rankable keywords for my niche blogs. In the below image, you could see some long tail keywords (that could be rankable) with low average keyword competitiveness. After doing the keyword research, you can come to the conclusion, what to write about. Do some research on the topics that you have elected to write and create the comprehensive problem-solving blog posts to help your visitors. Writing compelling content would allow your readers to recognize your subject knowledge and blogging passion. You may take polls, or include the call to actions and request them to take action by explaining their needs and viewpoints. Email marketing is the best way to get the loyal blog readers. Provide informative content and nudge them to sign up to your email subscription to send the blog updates and offers. My Key Strategy – I would always like to write the content with necessary details, screenshots, and multimedia to engage my readers and stay authoritative in the eyes of Google. SEO (Search Engine Optimization) has changed a lot! We should play smartly to get love from search engines. Yes, the keyword stuffing kind of SEO has completely dead, and you should learn the importance of adding LSI & Long tail keywords in your content. These activities would boost your search engine page rankings. Try to get the mention anywhere on the web; it gives the positive signal to the search engine robots that would widen your web presence. My Key Strategy – I would prefer white-hat link building techniques for the long run by using Ahrefs; Also, I never do over SEO. Depends on your audience and their requirements, you may make a choice of the exact one and generate a passive income with your blog. I have already told my blog monetization ways in the very beginning of the post. Try these blogging methods to make money from blog quickly! Choose an event like Christmas, New Year, Valentine’s Day or any popular event that is being celebrated by the people around the world. Understand the desires of the people what they search on the internet for that particular event like quotes, wishes, messages, etc. Create helpful blog posts and monetize your blog. Learn to build backlinks and execute a monetization method like Adsense. Drive traffic and make money. Learn to build backlinks and execute a monetization method like Adsense. Drive traffic and make money. Bloggers have started making a massive income from Amazon niche sites. You can also try it! Here is the ultimate guide to make money from Amazon niche sites. If you blog about the trendy matters and get good search engine rankings, you could make a huge profit with your blog. For Example: Recently, the Pokémon go, and Prisma App went viral among the web users. Do the research, write about the viral topics, and earn solid bucks from your blog. If you have a positive mindset to learn the innovative blog matters and work in the right direction with passion, it is more likely to earn money from your blog. So, first, decide what to blog about! Then generate the helpful content for your target audience and perform legit link building process. Market your blog through social media and email newsletters. Convert readers into sales/leads and finally build profitable blog. I hope you like this guide to make money through blogging, and it would help you in building a beneficial blog. If you need any help in setting up a blog or any other blogging related matters, feel free to reach me through nirmala@mymagicfundas.com. I’ll try to do my best for you! Honestly, I’ve been thinking about publishing at least a RoundUp content on blog, but seem no idea at all. This month, I read some marketing related to content marketing interview and found useful of the questions, however, I decided to use those for the RoundUp content of my blog. In-fact you have covered every thing in this topic. I know how much time it takes to write like this. Thanks for reading the post sir, glad you liked! I took 3 hours to complete this post and have spent 1 hour to design the image and have taken the screenshots. Cheers for your kind words, keep coming. This’s a nice article about make money blogging. I love what you said. To success with blogging, we have to build a successful habit for blogging. It’s a nice mindset. I understand my writing is little bit poor so now working on improving English. LOL! I spend an hour every night to learn English from BBC and other online course. Well. This is the most right in the article. Relationship is extremely important. You know? Without the relationship in community, I will never earn even a buck. Good to have your comment here, thanks! Don’t tell that you writing is poor, it is good. Just practise writing daily, play with the words, I’m sure that you’ll be a better writer. Great that you’re learning English through proper channels. My best wishes to write more and stand out from the hoard. Yes! Community is indeed needed for bloggers to reach a good height. Thanks for sharing your viewpoints, have a happy weekend. Thanks for your response and compliment, Nirmala. The reason that I couldn’t standout of the crewed is Language challenge. Honestly, I careless about it for years until I read a comment from a writer in LinkedIn. It’s so dissuade, but inspire to improve better language. You know? When learned more about English, I sometime afraid to put down my words. As you can see, I just publish one or two post a month. By the way, if you have some time or long for some tips, please take a read of my article. What’s more, I really love to listen your comment about my bad writing. This is infact an exclusive post in which you have nicely explained that how to make a profitable blog. With the help of right niche selection, Seo friendly theme, On page and Off page SEO, Proper keyword research, Writing quality content, social media promotion, List building and best Monetization practices every one can easily earn money. Thanks for reading the post and leaving your feedback. Yup! We need to focus on several things to make a good income with our blog. Picking the exact niche is more important to earn a passive income from blogging. Niche selection plays a crucial role in monetizing a blog. One should smartly select a niche based on one’s interests n current trends. Its tough to make money in competitive niches like food, technology, lifestyle n fashion. They are completely stagnated n need lots of hardwork. Following latest trends n less competitive keywords automatically ranks the content and drives crazy traffic. More traffic more money! What do you say? Welcome to my blog, thanks for getting time to read my post! Yes, I agree with you that the niche selection is important as we should update the blog on a regular basis. Opting the unfamiliar niche to blog would leave us to face difficulties. Good point! Selecting the most searchable topic with low competition would let us make some huge bucks. Keep coming to share your thoughts, have a happy weekend! Absolutely awesome article and guide to build profitable Blog from scratch. I loved the part where you explained about 6 habits that is quite essential to build the much more profitable blog. Nice post, you have covered every thing that can help a blogger to make money from his/her blog. I thing content is the most important part of blogging if you are providing the quality content for your blog readers then this will help you to increase your blog audience. And the more audience you have the more you can earn from your blog. I vibe with the writing tip. Some bloggers follow each of your steps closely but rarely practice their writing. In the USA, we have a saying: “It’s like putting lip stick on a pig!”, LOL! These blogs look pretty, and seem awesome save for the poor writing skills of the owner/blogger. Write 1,000 words daily. For practice. Develop your #1 skill to enchant your readers and to increase your blogging profits. Hello nirmala madam ! after a long time visited your blog and as usually this post also has a wealthy ingredients on build a profitable blog in your own style. Well, my blogging initially days i regularly follow mymagicfundas blog and learned lots of weblog knowledge. Most of the fresh bloggers they start blog without have any idea on how blog really works and expect very quick income from the blog. Apart from the selected niche on blogging, must spend some good valuable time on writing the killer content, patience, S.E.O skills and regular updates on your blog. We can make money multiple ways with a single blog. But need more organic traffic from search engines.. Thanks nirmala sharing your knowledge with your blog readers. Very informative post Niramala. Your tips are really helpful to new comer bloggers who are not be able to get success with their blog because of lack of right strategy and motivation. I am sure it will help them a lot. Great job. Niramala ji, topic is very nicely explained. Thanks. Nice share. Sticking with right niche with being consistent is really important. You have mentioned some nice points here. Great article, Nirmala. This is your one of the best articles. You have shared all the details to build a successful blog. I got some interesting information from your article. Thank you for such an excellent article. You have covered almost everything in this wonderful article. It have invested lot of time to write this detailed post which will be useful for bloggers across the Globe. A great article and enjoyed a lot. There’s so much good information which can be followed and actioned. If you have decent traffic to your blog and it matches with their target audience, I don’t see why not. Thanks For sharing Such Information. Your Article is a Very Useful for Blogging Works and generating profit.It is very stunning indeed . sir, I have Created a new blog, can you suggest how to Promote My Blog on social Media. It is becoming harder day by day to make money online. Every single minute, thousands of domain around the world is getting registered online. Which basically means, competitor are on the rise as well and making, even more, harder situation. But to stand out, we need to be smart, we need to think different, we need to blog differently. For that, a good guidance and advice are required. All I can say is, you have provided everything a blogger needs in his/her journey. A really appreciated hard works for this post. Keep guiding us… It motivates every newbie like me…. I created my blog on july this year, though my traffic hasn’t been good and i just applied for adsense today, i just hope i would be approved. A big and beautiful post to make money. I think the each topic you have covered in this article is providing us a good way to make our blog as money blog. And the most important thing mentioned in this section is current trends; that is a good thing. Our interested niche must based on the current trends then only we can engage our readers. I will work on all these tips which you have given and will make my blog to reach to the next level in this competitive blogging market. Thanks for sharing information about how to build profitable website .your guide about website creation from stating is easy to understand useful for new bloggers. Mentioned points are very significant and crucial to become succesful blogger.This post is very helpful for newbie bloogers. Also patience and Consistency are key to the success in blogging. Quite a quality post. Very well explained all the points. I recently started my blog and still struggling to write the compelling and engaging content. Thanks if you can help! !